There are more than 20 historic bridges crossing Dublin’s Liffey River. 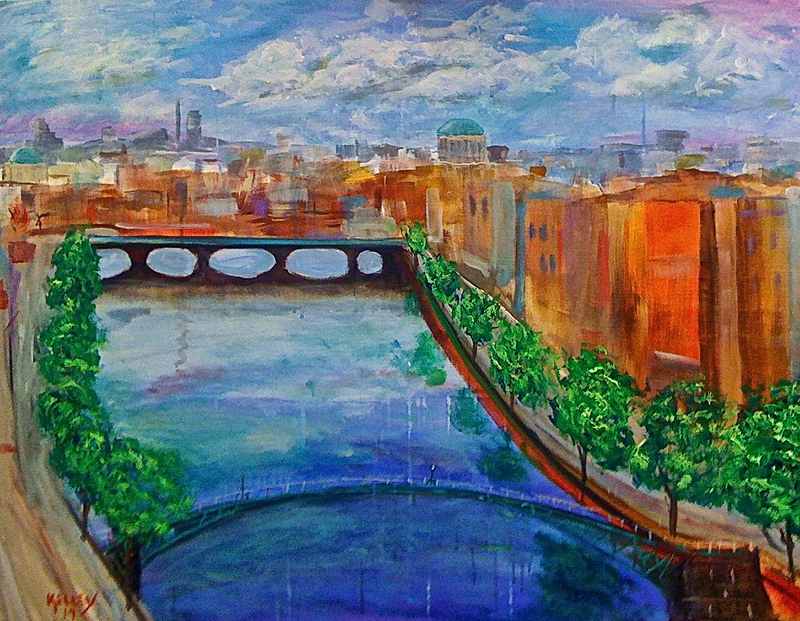 This is a view of the Ha’penny Bridge, made in 1816. It is called Ha’penny (half a penny) because for more than 100 years, pedestrians had to pay an half a penny toll in order to cross. Painted in Pedants Studio in Riga, Latvia, 2014.